Made with mini chocolate chips and unsweetened cocoa powder, this cookie is for chocolate lovers. Whisk together the flour, cocoa powder, baking soda, and salt in a medium bowl. Cream the butter in a large bowl with an electric mixer on medium speed until light and fluffy. Add the granulated and brown sugars and vanilla, beating until the mixture is smooth and creamy. Add the eggs to the butter mixture, beating until combined. Gradually add the flour mixture, beating until well combined. Stir in the mini chips. Set the baking sheet on a wire rack and let the cookies cook for 1 to 2 minutes, before transferring them t the racks to cook completely Store in an airtight container. Cookie scoops are readily available at kitchen stores in a variety of sizes. 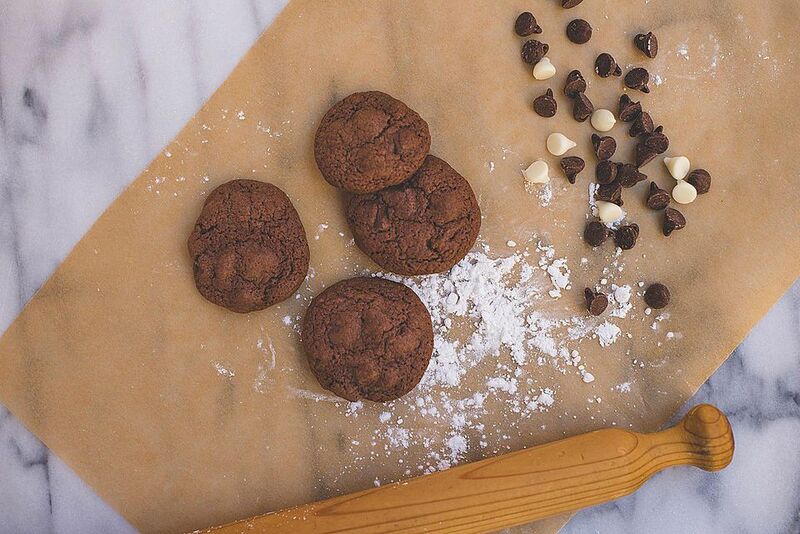 A 1 1/2-inch scoop works for most cookie recipes. This gadget makes quick work of dropping the dough onto the baking sheet, and has the added benefit of creating uniform cookies.